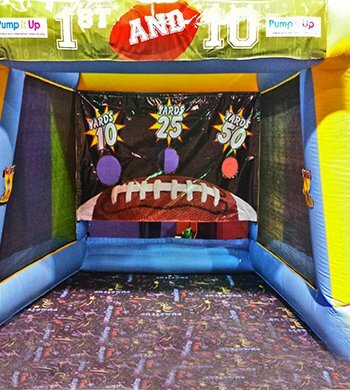 Pump It Up of Santa Clara is the only Pump It Up in the country featuring 3 play arenas for an ever renewing level of energy and challenges! Every arena is different with a total of 12 different game structures. 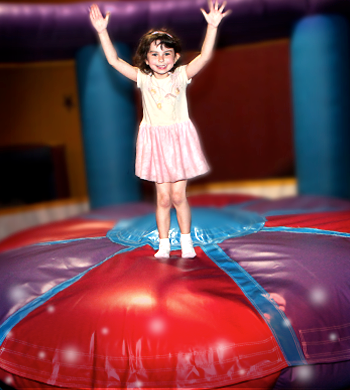 Note: Monday through Thursday we use 2 of the 3 arenas while all 3 arenas are used for Friday, Saturday, Sunday and Holiday parties. Try your skills hitting balls floating in the air! 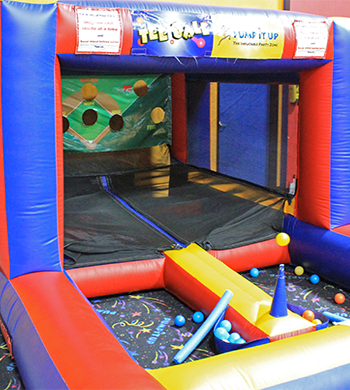 Try to see who is fastest and has the best aim to throw balls through target holes. Your oponent will try to get all the balls to your side while you try to fill his! Too much fun in one place! 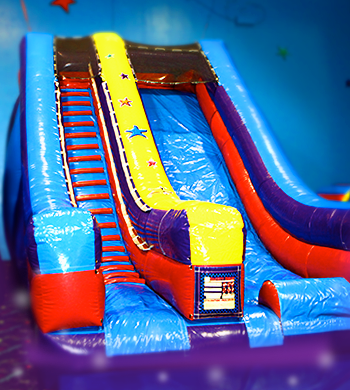 Climb a mountain and then slide down a fast slide! Joust in our flating coliseum center pod. 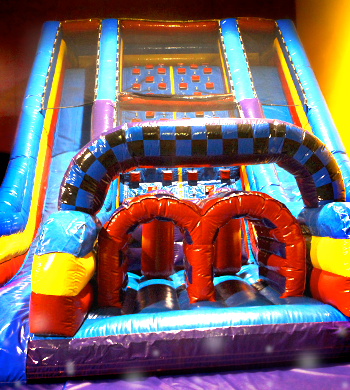 You will be challenging your balancing and jousting skills. 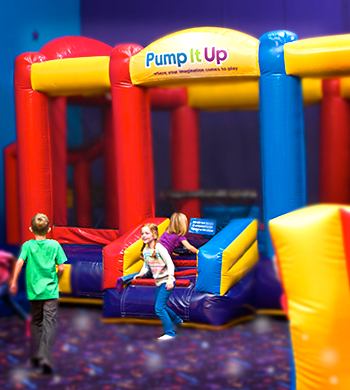 We feature the tallest Rockwall in any Pump It Up! 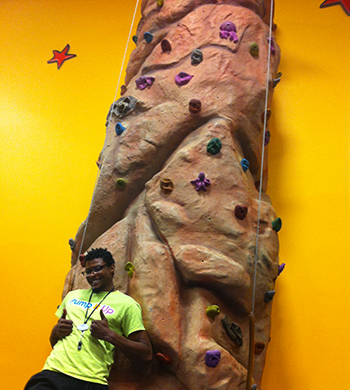 20 feet, and 3 climbers so everyone can have fun. Hit the bell at the top to announce your achievement! Come experience what a hurrican feels like! 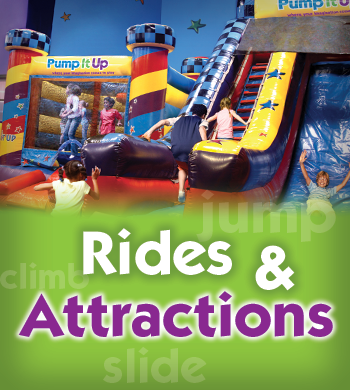 $2.00 per ride, or 5 rides for $7.50. 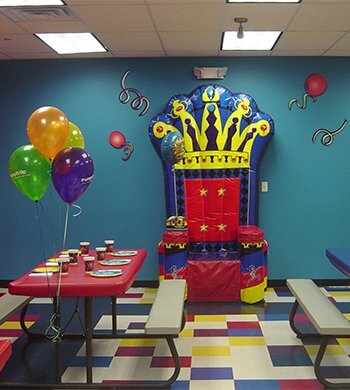 Have a well deserved rest after playing for drinks and food while enjoying your party pictures in our large TV. 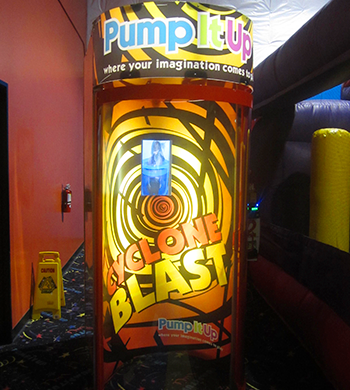 Bring your iPod to play your own music throughout the play time and in the party room too!